Red Bean has been a legend towards Chinese Culinary in Indonesia, counted as one of the top leading Family Restaurant for prolly more than a decade. This year, Red Bean introduces its New Baby “CHEW” stands for Coffee, Hangout, Eat & Work. Their latest concept brings a touch of modern twist in every corner of its space, and they has successfully revamp and expand its traditional Chinese menu from A-Z. With scrumptious cheesy baked rice as their forefront, CHEW presents extensive choices of baked rice “secret recipe” that is definitely beyond compare. But before digging deeper to Chew Finger-licking goodness, let’s zoom in Chew dining space and its ambience. Just like the H and W stand for, the classic family restaurant has refurnished completely to adjust the taste of our kind, the generation X, whom tend to has this idiosyncrasy of bring work and our most precious thing in the world ( spell : charger) EVERYWHERE! CHEW is both restaurant and co-working space that is why this place is utterly perfect for college students, freelancers and office people as charger plug is spotted in every corner, and even right below the dining table. Speaking of Dining Table, yes they are crazily wide! So people can place their endless work stuff on the table while still having space for them to sit down and eat. Experience Great Food, Great Place and Excellent Service is what CHEW all about. 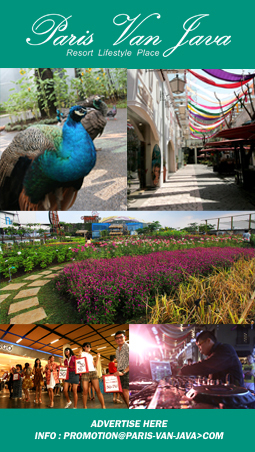 find them at PARIS VAN JAVA, RESORT LEVEL. Open from 10:00 – 22:00. 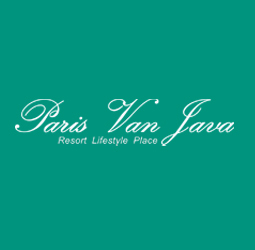 ©2019 Paris Van Java - Resort Lifestyle Place. All Rights Reserved.